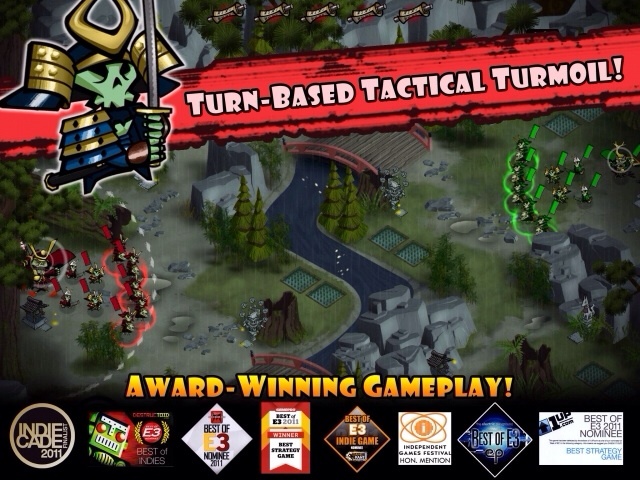 Skulls of the Shogun, a turn-based strategy video game developed by 17-BIT, has arrived on iOS. Crush your enemies and eat their skulls! 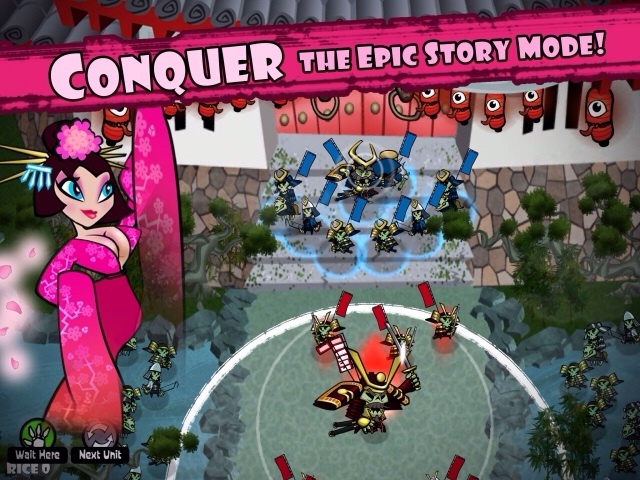 Skulls of the Shogun is a fast-paced turn-based strategy game, supercharged with fighting-game flare and double-stuffed with a serious sense of humor! Enter the Samurai Afterlife and join forces with undead warriors, magical monks, and mighty mustachioed samurai generals! - Beautifully hand-drawn and hand-animated! See it in motion! - 4 magical animal monks to discover and master! - 24 levels of epic single-player story! Why can’t General Akamoto get any respect?! - Online multiplayer! Up to 4 friends can battle at once! - 4 gods and 6 generals, all with distinct personalities! - Send your moves turn-by-turn in Skulls Anywhere mode! - Pass and Play with a single iPhone or iPad! It's game night! - Power up your army to deadly demons! - Gain experience, emblems, and cred with the progression system! - BONUS island featuring persistent troops and the Tanuki Monk! - Easy to learn, tough to master. Challenge your friends! - Distinctive soundtrack of samurai grooves! - Like a Saturday morning cartoon - with teeth! 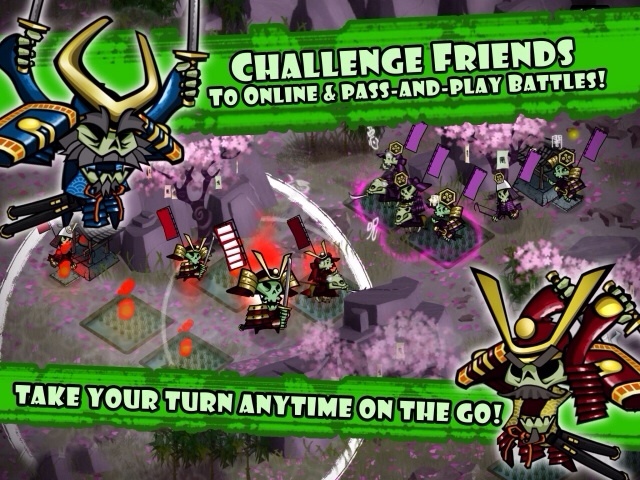 You can purchase Skulls of the Shogun from the App Store for $4.99.